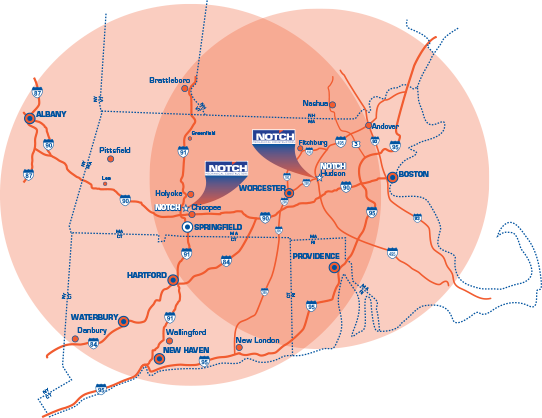 As a regional mechanical contractor, Notch Mechanical provides piping installation and repair services to facilities throughout southern New England. Our team has the capacity and capabilities to address process and utility piping challenges at any business within 100 miles of our locations in Chicopee, MA and Hudson, MA. Stay Connected with Notch. Find us on LinkedIn.